Holidays are the time of year for craftspeople like me. We work all year long coming up with new designs and honing our techniques just so we can be paralyzed with fear and stress over not having enough jewelry to sell at holiday boutiques or shows. And then there's the gifts! 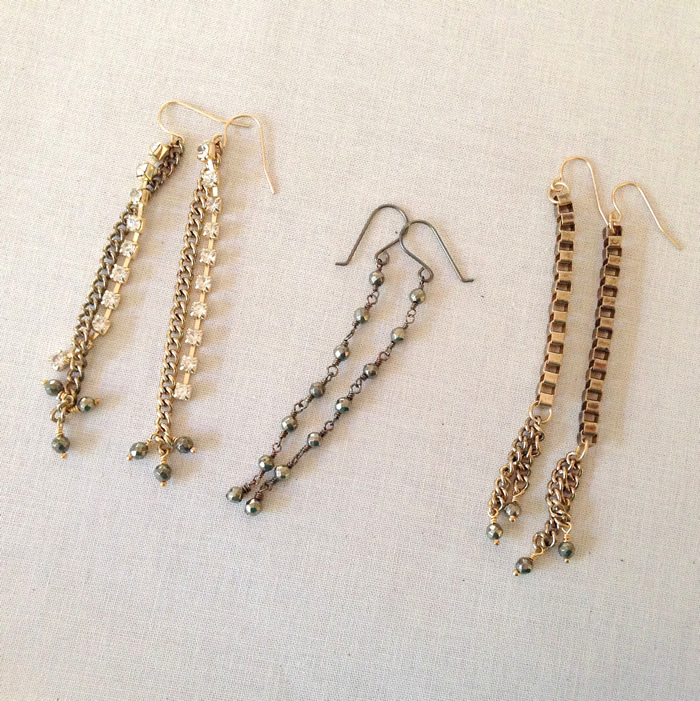 If you're just getting started making jewelry, of course, you want to show off your skills and give a few handmade sparklies to friends and family. Guess what? - they will love them and want more every year. That's great, but refer to paragraph one and add that to your holiday stress-list. No worries though - just have a strategy. 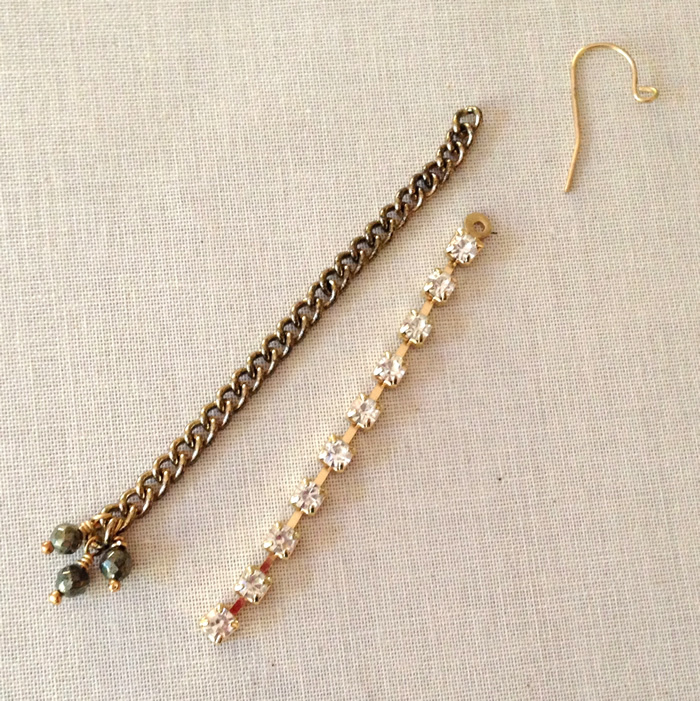 I always try to have some jewelry styles that are relatively quick to make, inexpensive, but perfect for holiday wear. have on hand, and are easy to change so they can suit any style. 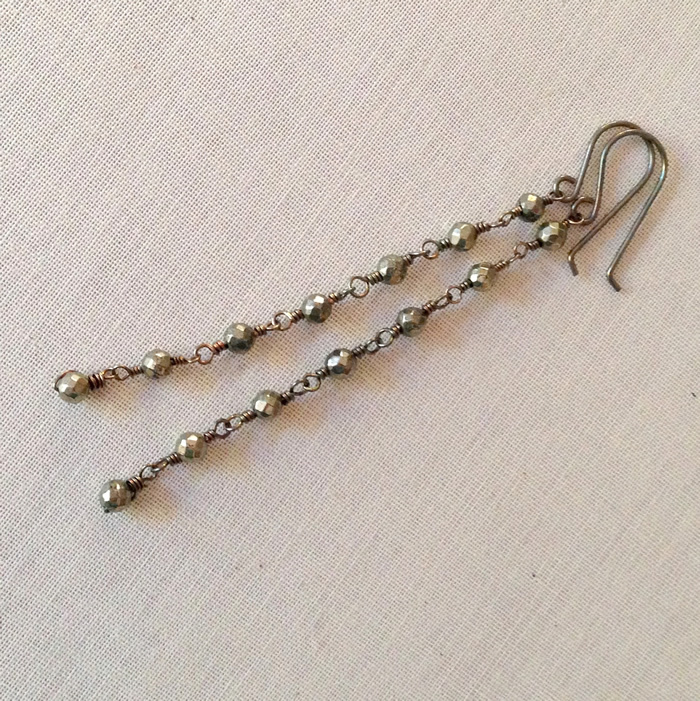 You can make them shorter or longer and use any chain and beads you have in your stash. I am known to buy assortment bags like this Chain Remnant Bag or the ones at Fire Mountain Gems and the goodies in there can work perfectly. My rhinestone cup chain is 2 1/4 inches long and the curb chain is 2 3/4 inches long. 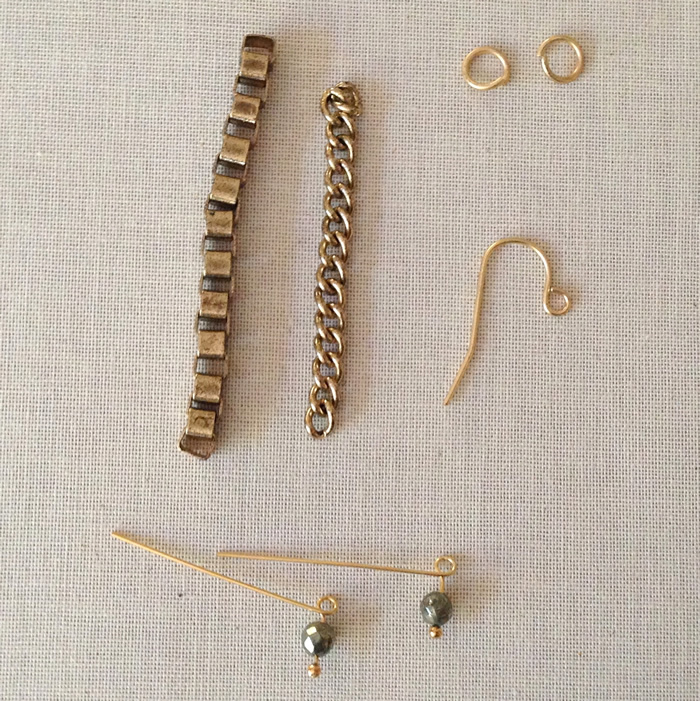 Most of the materials came from my spare parts boxes, except for the pyrite beads. Those came in my most recent order from Auntie's Beads. 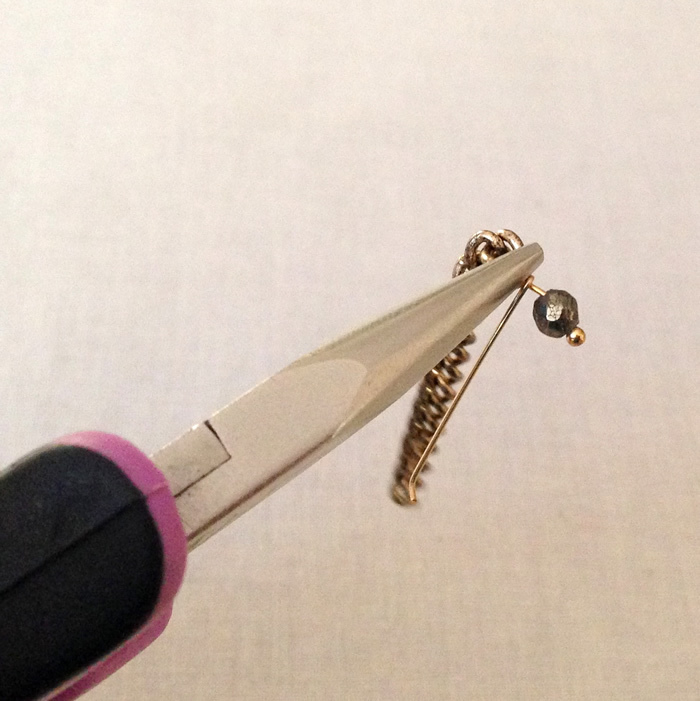 Notice that I've already started the loop on the ball pin with the pyrite beads, but haven't attached them yet? I do that as a reminder to myself not to wrap the loop until I've attached it to the chain. I can't tell you how many times I get in the wrapping zen and keep wrapping them without attaching them. Here's my order from Auntie's with the pyrite. 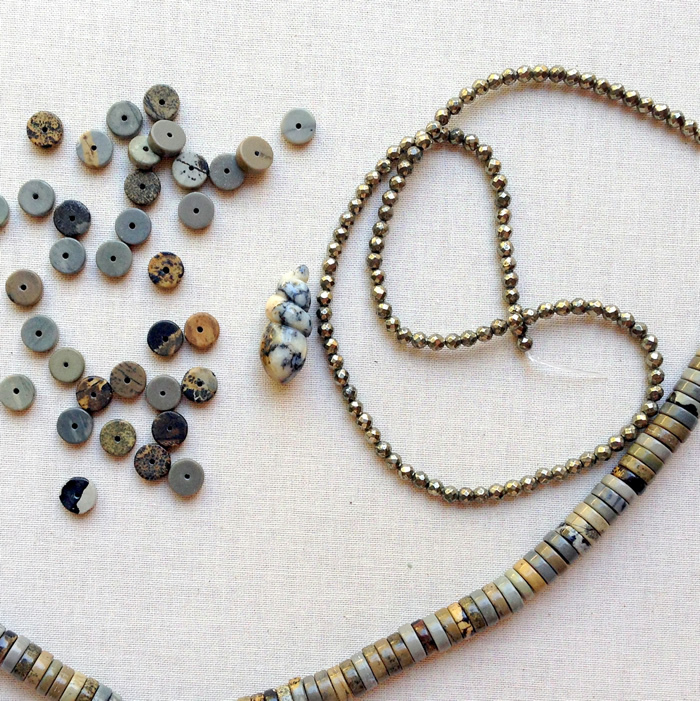 I love this little selection of beads. I'm sure I imagined them all working together, but I'm not sure that's going to happen. Anyway, back to the earrings. 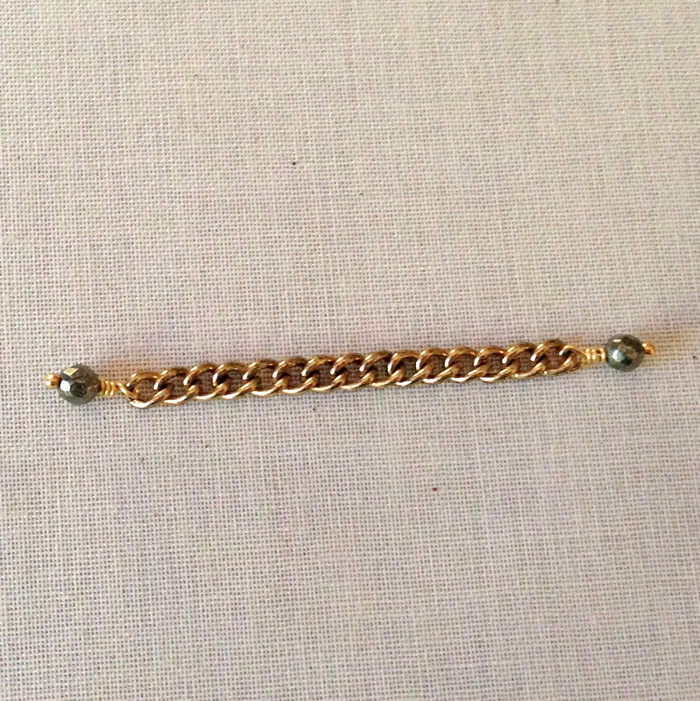 Attach the three pyrite beads to the end of the chain. 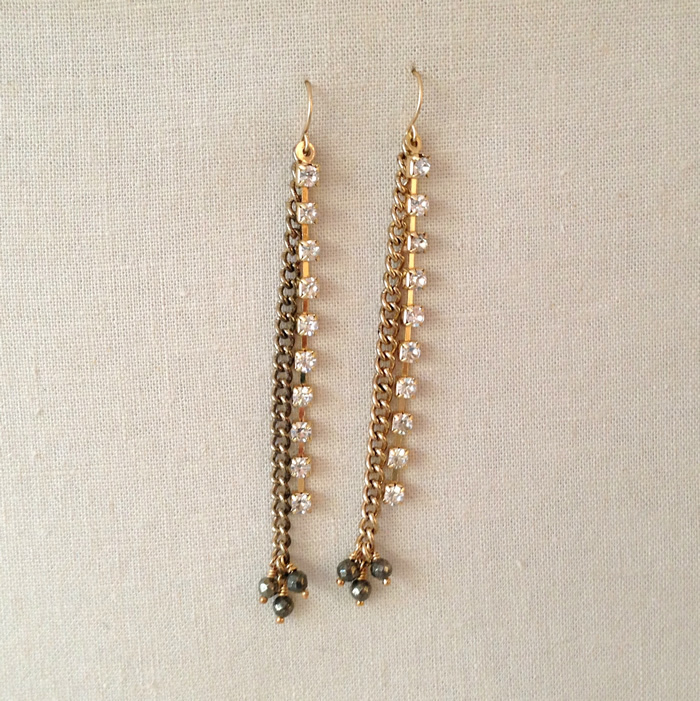 I staggered them with one bead in the bottom center, and one bead on each side of the second to last link. Then attach them to your ear wire. How easy was that? 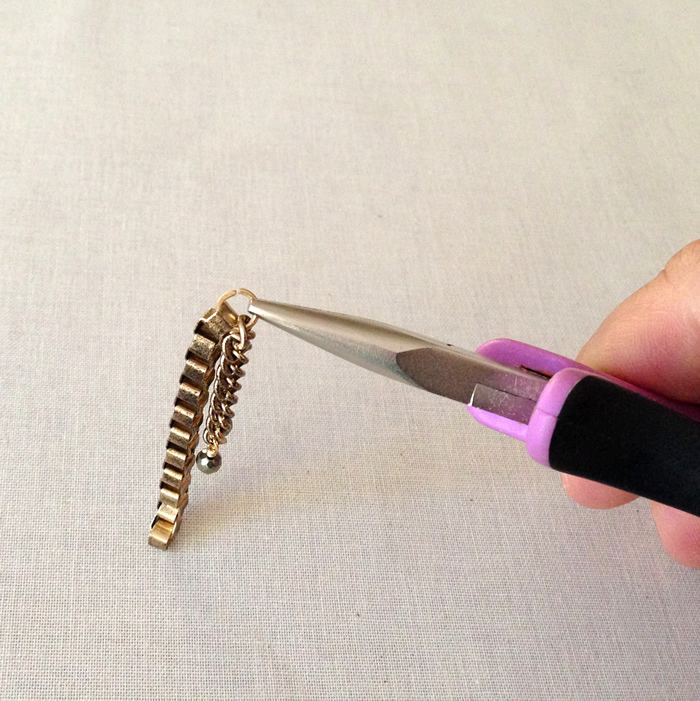 Try these with whatever chains you have on hand - there's no need to have the same ones I have. Repeat on the other side of the chain. Thread one jump ring through the middle of the chain with the beads (or off one loop if you like the dangles to be different sizes like mine). Also thread the other chain on the jump ring and close it. 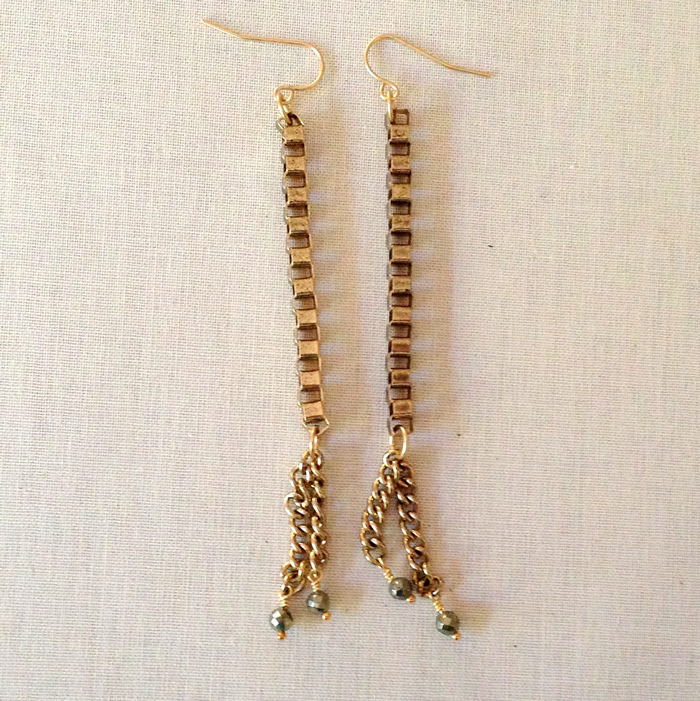 Add the ear wires using a jump ring and you have a second pair of fun swing earrings. This last pair of earrings takes a little more time because each bead is individually wrapped, but they're honestly my favorite. 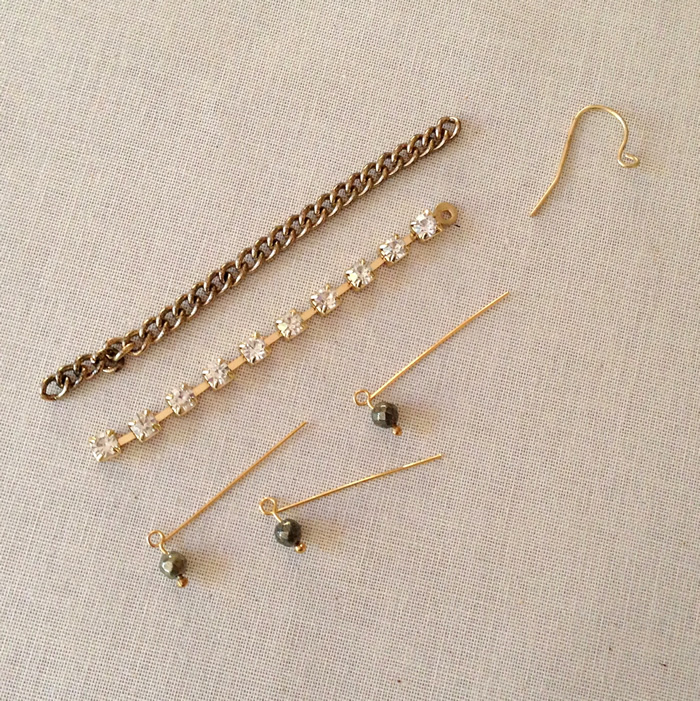 Right now, I love the subtle sparkle of faceted pyrite and dark patina sterling silver. These ones are mine... but I can make more if you'd like a pair. Visit my etsy store and add it to your favorites to have my items in your feed and know when I add them to my shop.